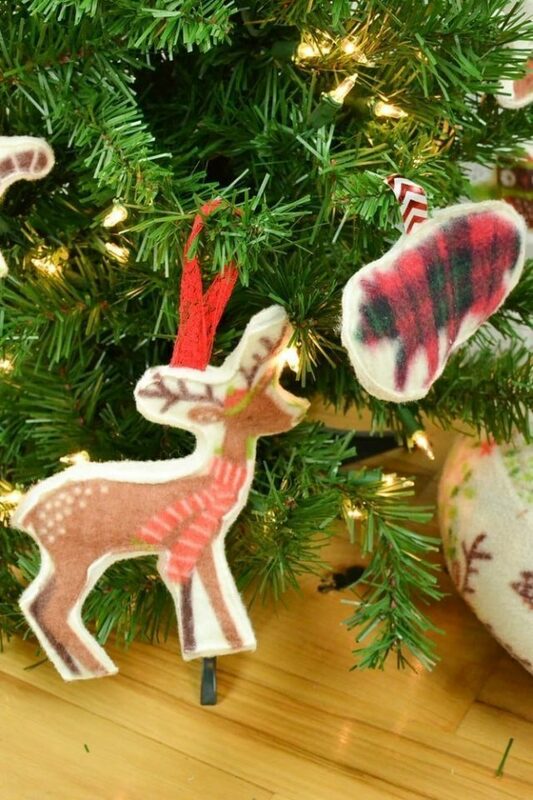 Make these adorable kid-friendly Christmas ornaments with some cute fleece. 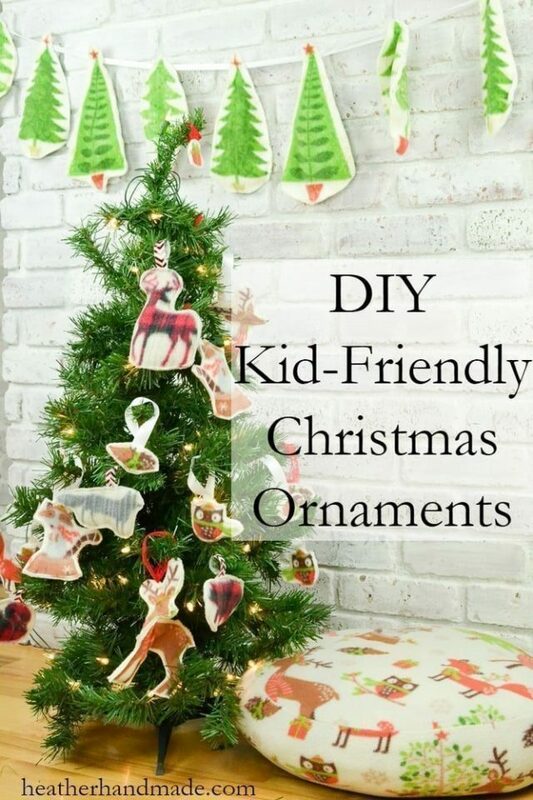 Never worry about your kids playing with or breaking ornaments again! I am really into kid-friendly or kid-touchable Christmas decorations this year. My kids are at stages where they want to be involved with what I’m doing and they want to touch everything. Instead of fighting this curious stage, I decided to embrace it. 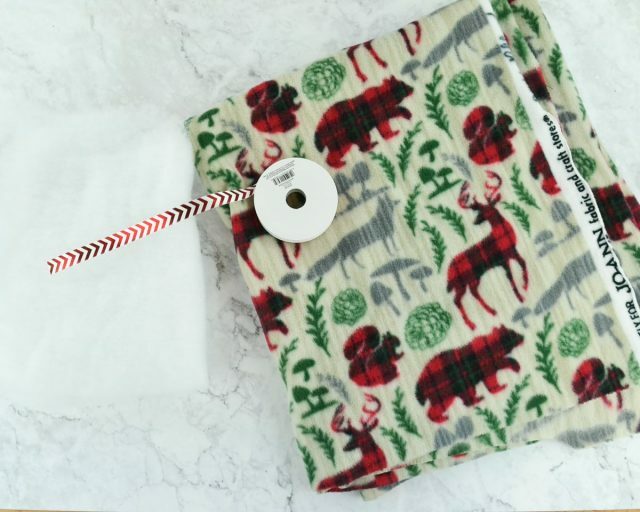 Even though fleece is often my last choice of fabric, I used some fun printed fleece because it is soft, easy to clean, and most important kid-friendly. 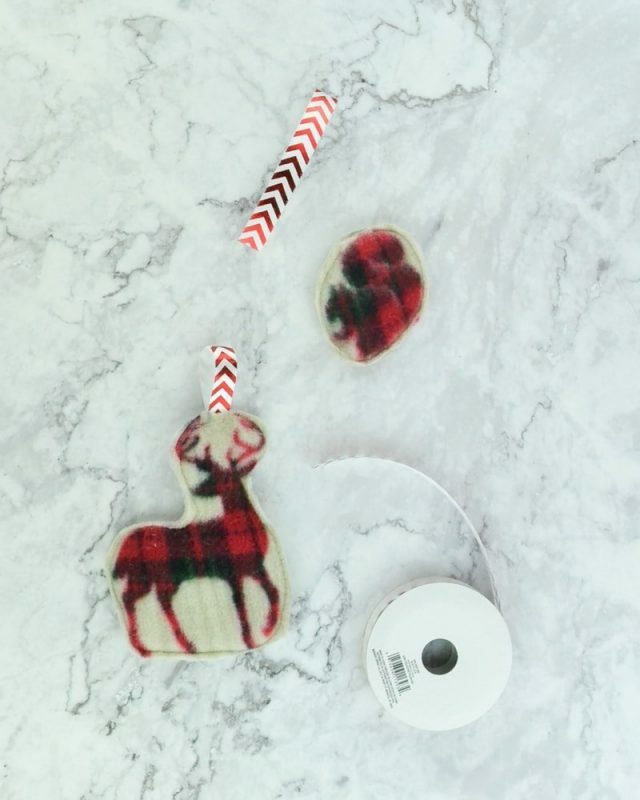 I used some Christmas fleece to make some winter decorations that the kids can touch the ornaments all they want. 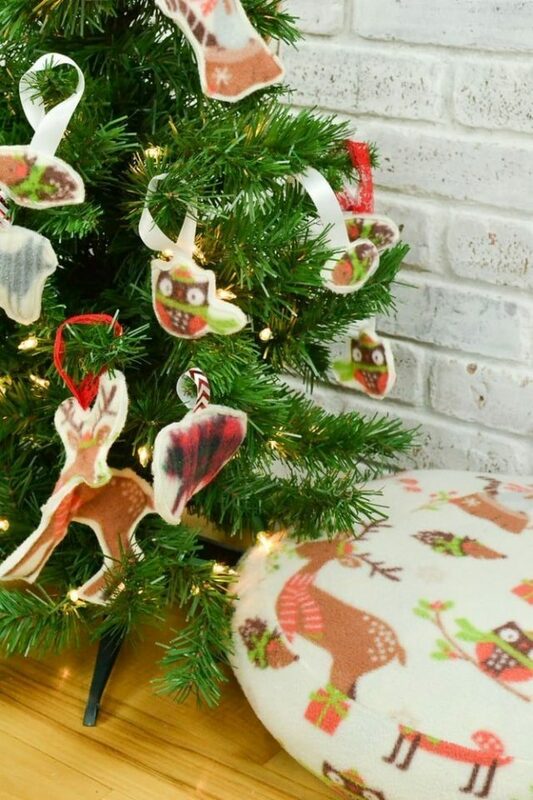 I also made a tree banner to hang, some stuffed pillows, and some DIY Christmas ornaments. I remember being a kid and playing with all the best Christmas ornaments. My mom never knew but my sister and I would play with figures in sleighs, the animals, and we would pretend to blow the trumpets. I don’t remember breaking any ornaments, but I do think some got scratched or loosened. My mom didn’t even know we played with them until we told her a couple of years ago. 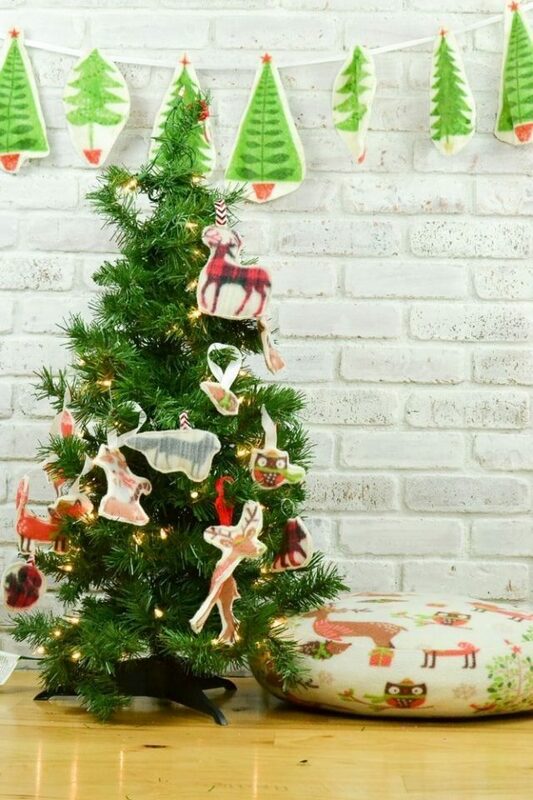 We also set up a mini Christmas tree with all the fleece ornaments in the kid’s bedroom every year. They can take off and put on the ornaments as much as they’d like. They love having their own decorations to enjoy, and I love letting them. The great thing about these kid-friendly ornaments is that my kids can pick one to give to a friend. It’s a simple ornament for me to make, so I don’t mind when they give them as gifts. 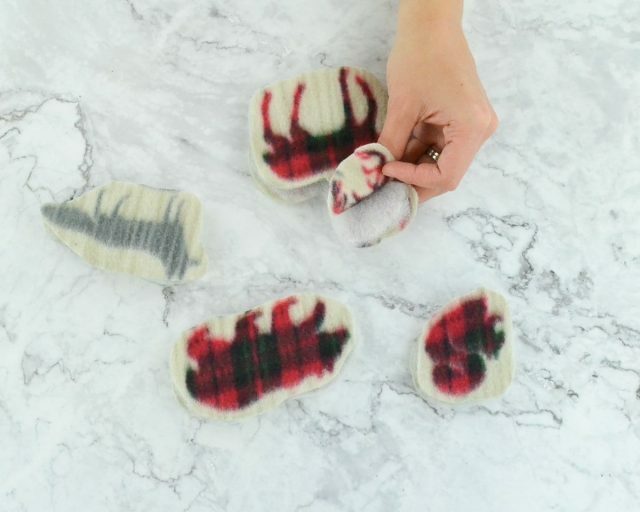 When they get older they’ll be able to sew their own to give to friends! Watch the video and then read the instructions below. 1. 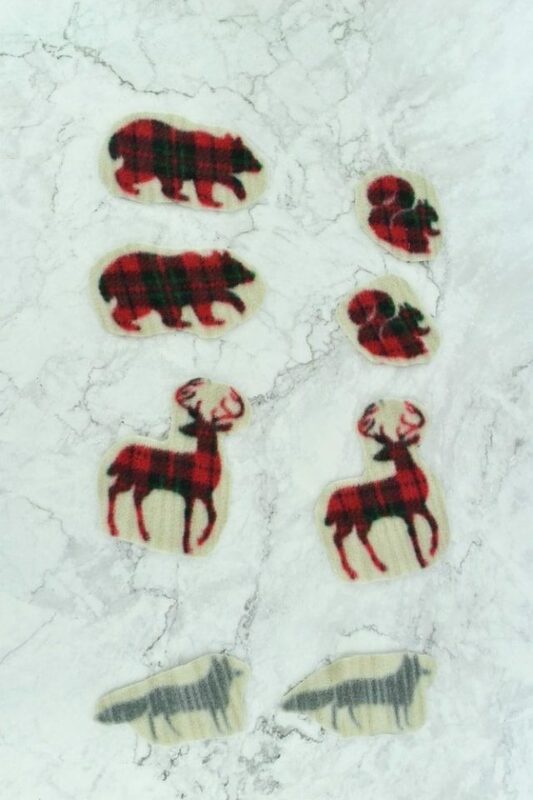 Cut out two of each “character” from the fleece. Cut close to each one but leave a small seam allowance. 2. 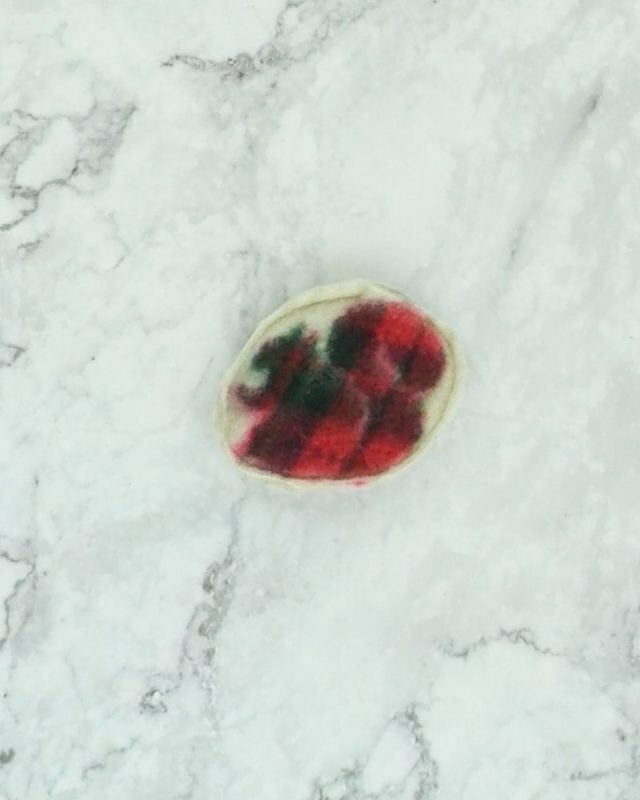 Cut a piece of batting the shape of each character and sandwich in between the two pieces of fleece. 3. Sew around the outside of the character and leave a hole at the top. Trim any excess. 4. 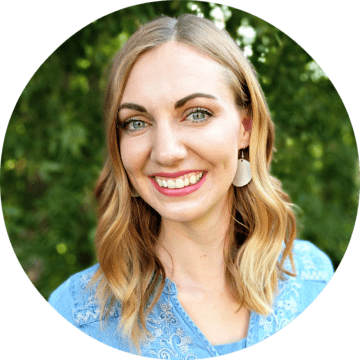 Cut a piece of ribbon four inches or longer. Fold it in half and insert the raw edges into the hole. Sew the hole closed. 4. If you want you can quilt around the character to make it more pronounced. It’s really hard to get the front and the back perfectly lined up though. 5. 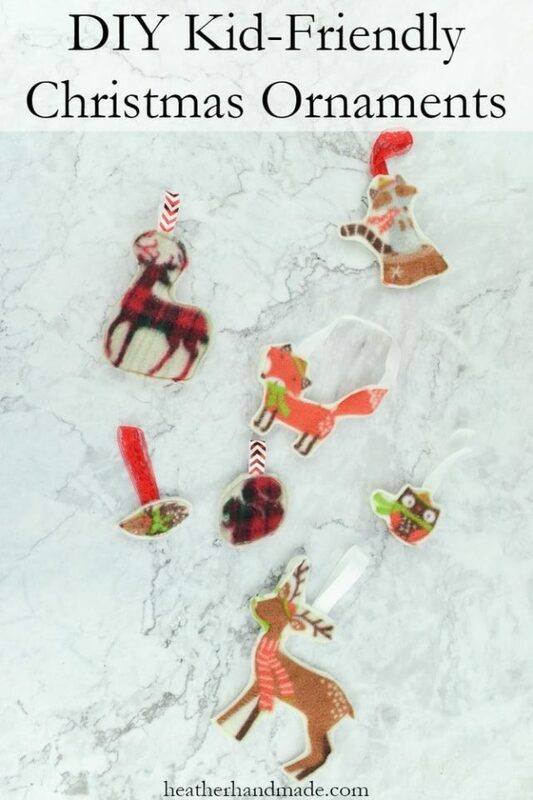 Make lots and lots of ornaments for your kids to play with! Use different fabrics for different looks and characters. 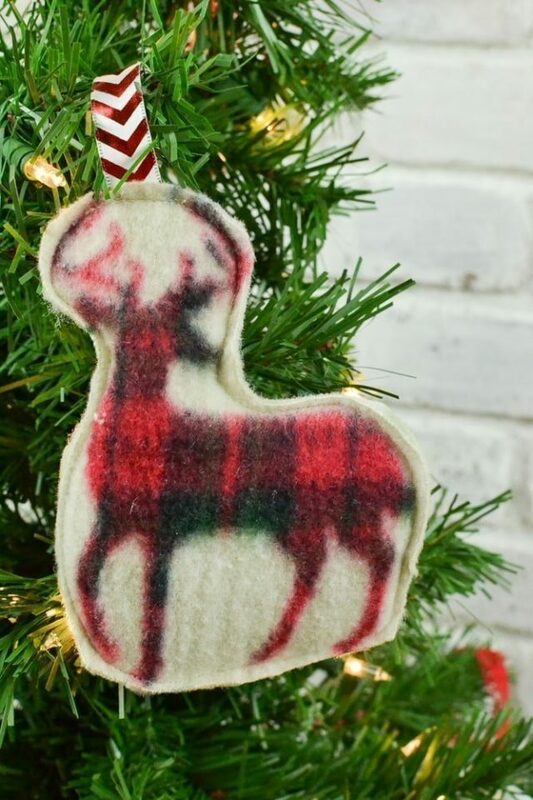 If you make something using this kid-friendly ornament tutorial, I’d love to see! Please share it on social media with the hashtag #heatherhandmade and tag me! Hershey kisses the last couple of years. So this year the kids were excited to open the bag up and use them to decorate their trees. I found their trees a few years ago, outdoor trees for $10 for 2 of them. This way I don't care if the kids redecorate or what. But I won't be sewing since I did something to my machine. I had great intentions of finishing the Christmas dresses from last year. Guess not so much anymore! Maybe I just wanted to give myself a break.